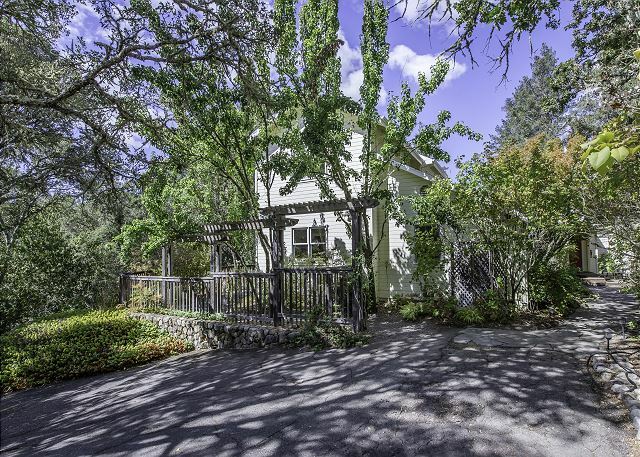 Nestled on 10 acres in the prestigious Chalk Hill appellation of the Alexander Valley, this rustic, beautifully renovated and newly furnished, 5br/4.5ba, 3200 sq. 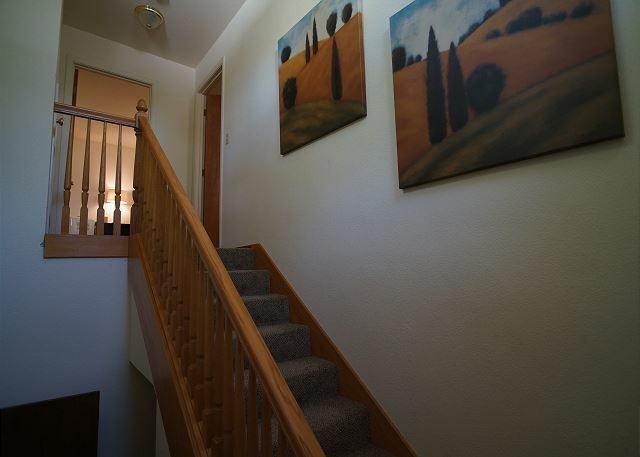 ft., two-story lovely home with central heat/AC, sits on a wooded knoll just above the vineyards. A separate pool house on the opposite side of the circle drive combined accommodating 12 guests. Completing this wonderful retreat is an in-ground pool with cover, freestanding spa, and abundant, new outdoor furniture rests on a flagstone patio beside the pool with beautiful landscaping and lawn all around. 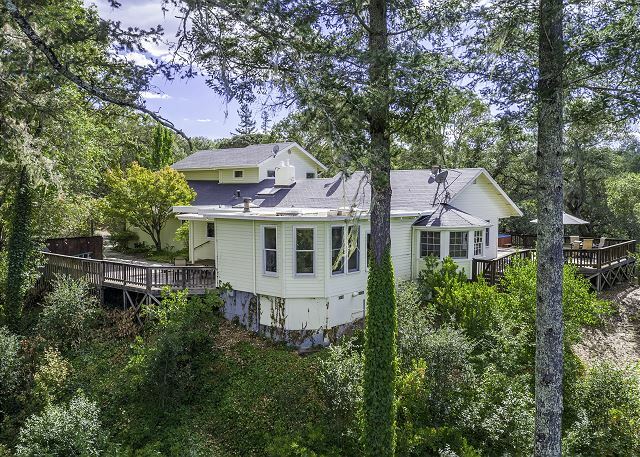 This beautiful Chalk Hill Compound is very well located with easy access to over 40 landmark Alexander Valley wineries including Lancaster, Verite, Chalk Hill, Hanna, White Oak, Field Stone, and Stryker, to name but a few. 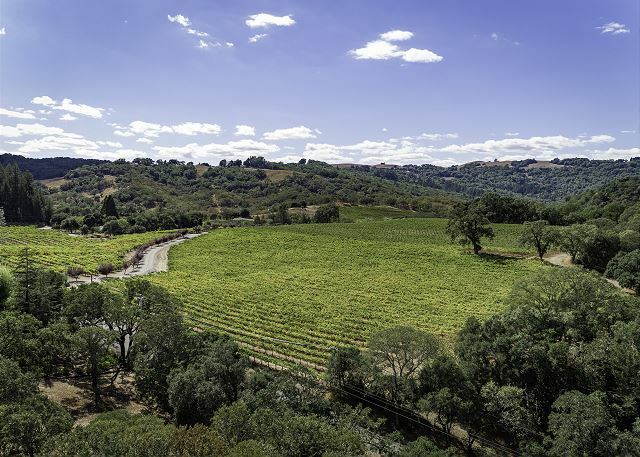 A spectacular and scenic 15-minute drive through the vineyard-graced valley, brings you to charming and historic Healdsburg, a world class Sonoma County Wine Country destination, with fine dining, shopping, and an abundant diversity of adventures and activities for your enjoyment. 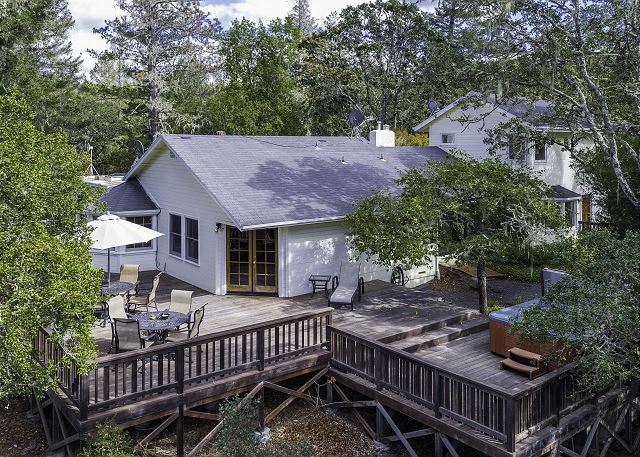 Enter the property through the locked gate, up the paved circular drive, be welcomed by a center island with two mature oaks, and plenty of parking. 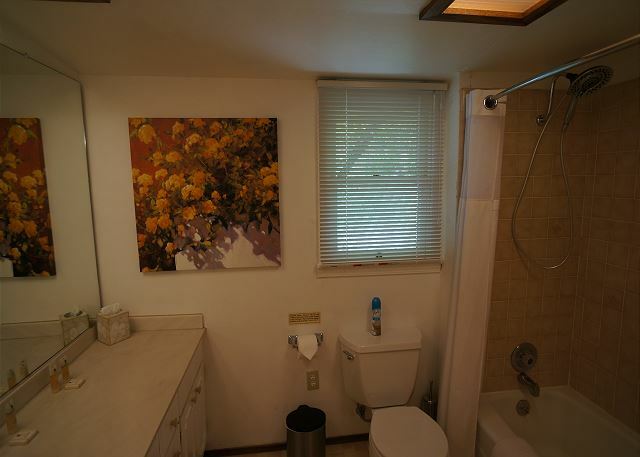 On the other side of the drive, across from the main house, is the Pool House with full bath for your convenience, which also has beautiful landscaping around it and the pool behind. 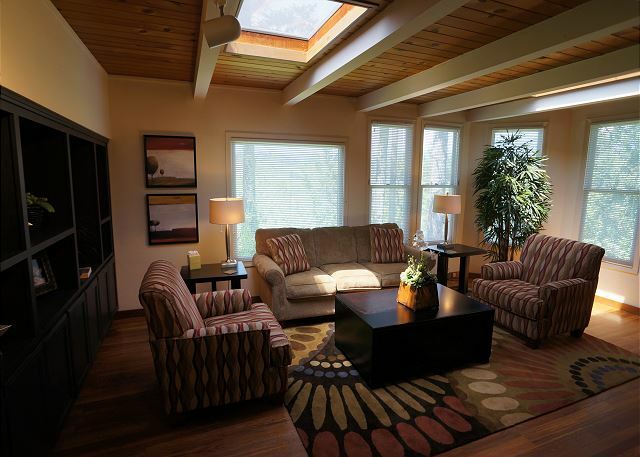 The main house has a large front entry deck with beautiful views and a wooded hill which slopes down to a seasonal creek. Front and west side decks include two outdoor tables for four with umbrellas, and a lovely 7’x8', 8-person Hot Springs freestanding hydrotherapy spa. 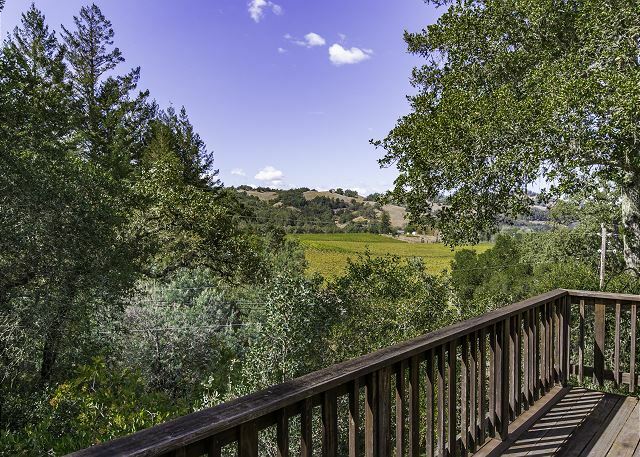 All the features and amenities this beautiful property offers combine beautifully to create an idyllic setting for celebrations, family gatherings, and friendly get-togethers, just above the Alexander Valley vineyard floor. Your ‘home away from home’ is beautifully appointed and professionally decorated with everything you will need for a memorable and magical vacation experience. 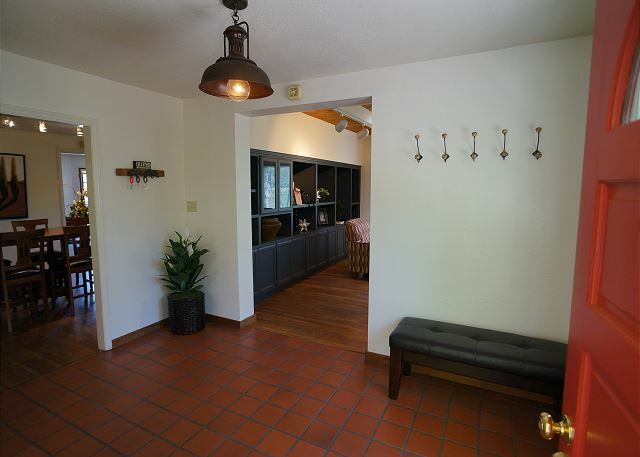 Now up the flagstone pathway to the lovely main house with beautiful landscaping, abundant mature plantings and trees all around, and be welcomed by the entry hall with the well equipped, bright and airy, chef’s kitchen to your left. With two skylights and a central island featuring a new GE 5-burner gas range with a retractable downdraft vent, a pass-through from the kitchen to the dining area provides two stools for the ‘backseat chefs’ and is a great place for planning your culinary artistry. 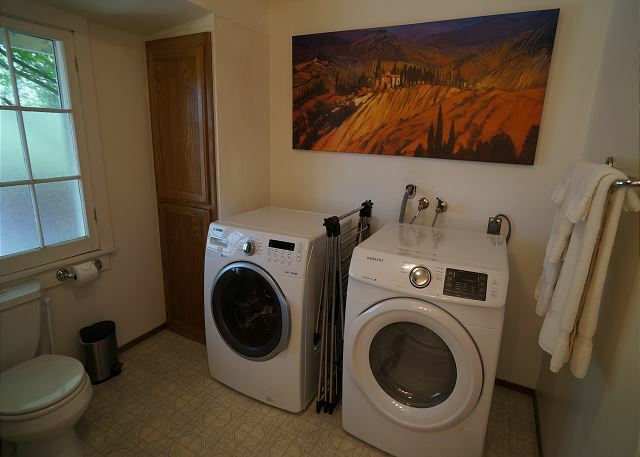 Additional appliances include a new large side-by-side Kenmore freezer/fridge, GE dishwasher, and a self-cleaning Whirlpool oven with built-in microwave above. 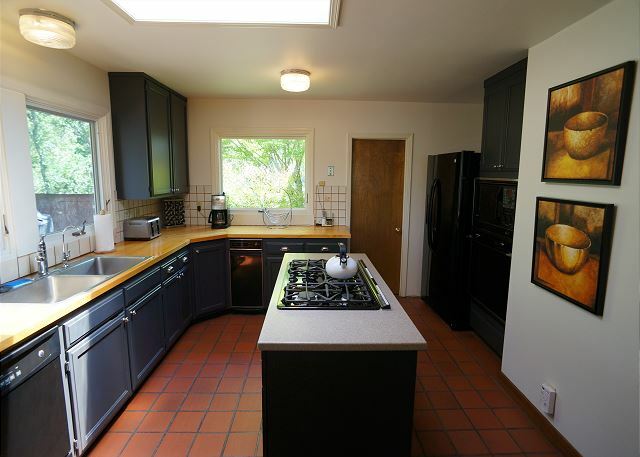 Additional kitchen necessities include a Cuisinart coffee maker, an extra large KitchenAid toaster, a new JA Henckels knife set, all new cookware, flatware, plateware, glassware, wine glasses, cutting boards, etc. 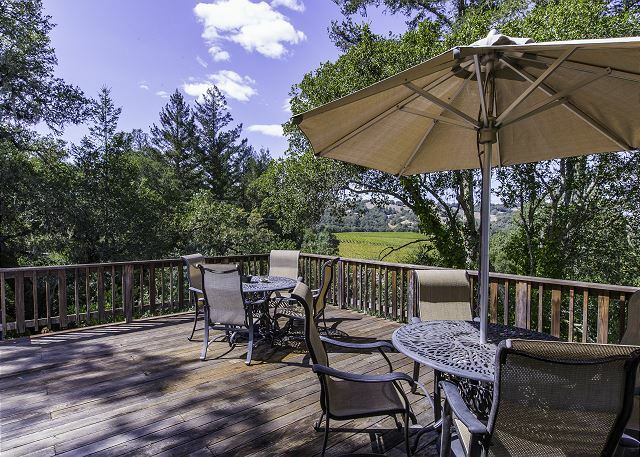 Ideally located for exploring the diversity of Sonoma County Wine Country, this property is a perfect ‘home base’ where you can relax and just soak it all in, or venture out in almost any direction for enjoying the many adventures nearby. There is an abundance of more than 100 award winning wineries within a short drive through the vineyards, in the Alexander, Dry Creek, Russian River, Sonoma, and Napa Valleys, as well as the towns of Healdsburg, Calistoga, St. Helena, Sonoma, and Napa; you will likely need at least a week to explore, experience, and enjoy it all, then return again and again for more relaxation, rejuvenation, and adventures. The Mayacama Golf Club is only 9 miles south. a guest from New York City, NY does not recommend this vacation rental. We checked into Chalk Hill rental early which we were grateful for. The pool guy was there and pool and hot tub were clean and functioning well. 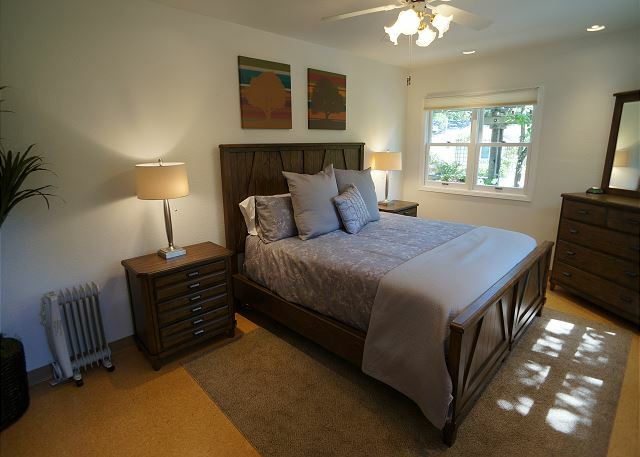 The house was very spacious with many bedrooms for guests. The outside deck was wonderful and breezy. We loved sitting out there! The inside of the home was nice but perhaps in need of some basic TLC. The washer broke during our stay and they sent a maintenance man to fix but it was semi stressful bc we needed clean clothes for wedding. 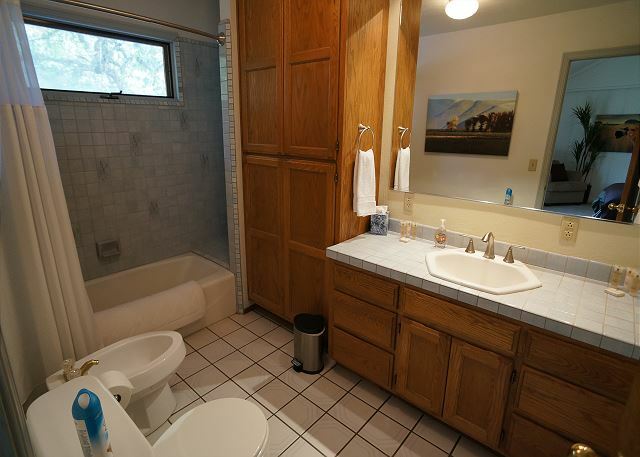 Also, the drains in showers were slow and filled tubs with water while showering. Overall our stay was great though! We really enjoyed the home and area and hope to be back! We are glad you had a good stay, other than the washing machine. I am glad that the second time it locked up on you, you reached out to us to fix it and we were able to send someone take care of it. We hope you will get the chance to come back out and stay! Though we hope if you do, you will be pleased enough to recommend us to others! It all starts from the moment you pull up to the gate. Check in was a breeze. No issues whatsoever. The house was clean and very spacious. 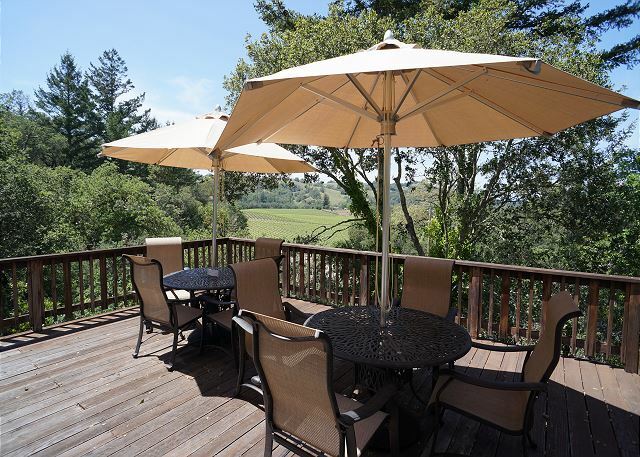 This property is located in a rural area of Sonoma County and is absolutely perfect for a weekend getaway. We will definitely stay again. We loved the beautiful area and the house's quiet location. It was sparkling clean, and the office staff (especially Jessica) were always really helpful and professional. We were disappointed in the lack of some seemingly basic supplies in the kitchens, especially given the size of the house, but all in all a very nice place to hang out with family and friends. This very roomy place is 15 to 20 minutes away from any town/shop, but the layout worked really well for our big group (in the area for a family reunion). We did self check in and self check out, so only had contact with people via text message. The swimming pool needed attention and instructions for pool and Internet access were out of date. 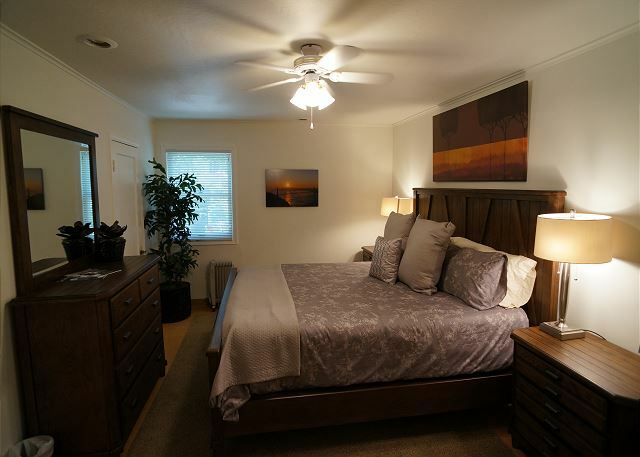 It would have been good to know that the pool house (double bed and sofa bed) does not have AC and that for the two upstairs bedrooms, there is no bathroom. 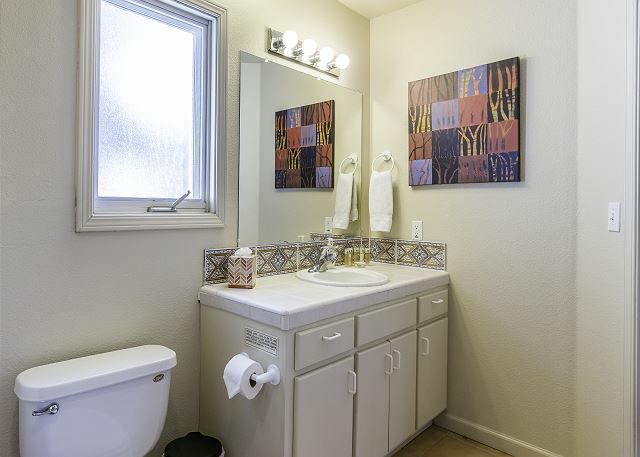 Yes have to come downstairs and use a bathroom in the hallway, which may be also used by another three guests. Chalk Hill Country Home had everything that we needed for our large family gathering. 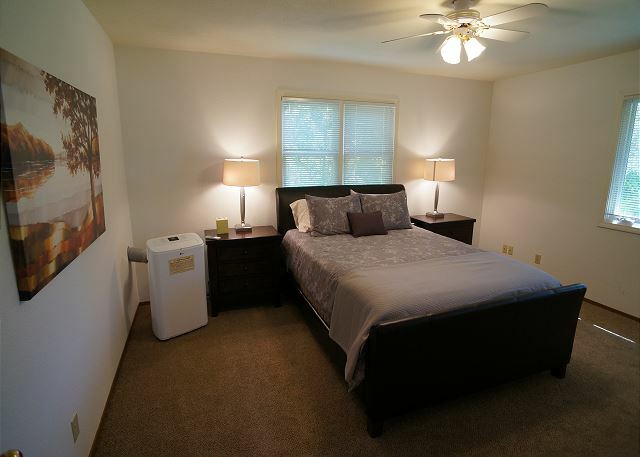 The home was clean, kitchen well stocked and beds very comfortable. The kids loved the warm pool and we felt safe with the pool cover on when not in use. a guest from Kirkland, WA does not recommend this vacation rental. 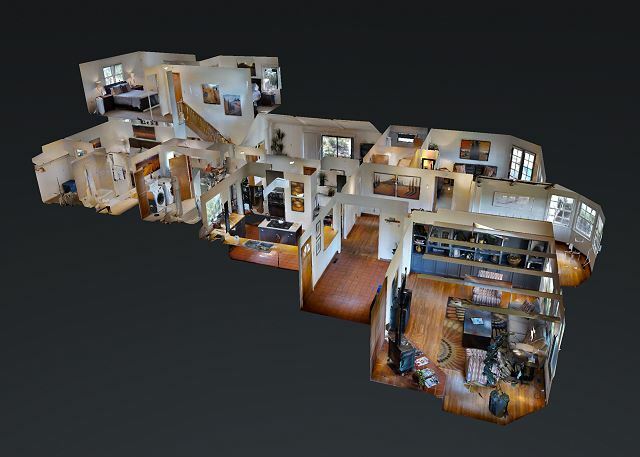 Our experience with this property was seamless. The team was efficient, honest and very friendly! Everything described in the post was accurate and was just as beautiful in the photos. Shanda and Jessica checked us in for the weekend and they were great! Knowing I could I call them at any time for help was great too. The pool was warm and clean, the hot tub worked great. It did get a bit cold at night, and there weren't many extra blankets/sheets anywhere, so definitely bring extra if you get colder! We stayed the weekend for the WCC biking event. It is challenging to find a comfortable rental for 6 couples for a 2 night stay .....Chalk Hill was a very good answer for us! Overall, the property satisfied our requirements. Plenty of space for 12 adults...we particularly enjoyed the pool table and the spa. We did not use the pool given the weather in the 70's. The dining table fit 12 comfortably and the kitchen was well equipped. Some of the house's furniture and redwood decking was aging, but was quite functional. Unfortunately, the DirecTV was not working so watching the derby, Warriors and Giants was not possible. I would stay here again. 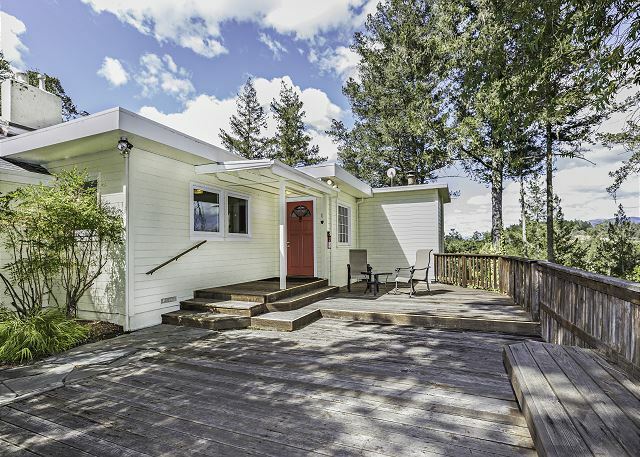 This house has old school charm in a quiet area to relax and be with friends. We had a group of ten, and never felt cramped or in need of space. 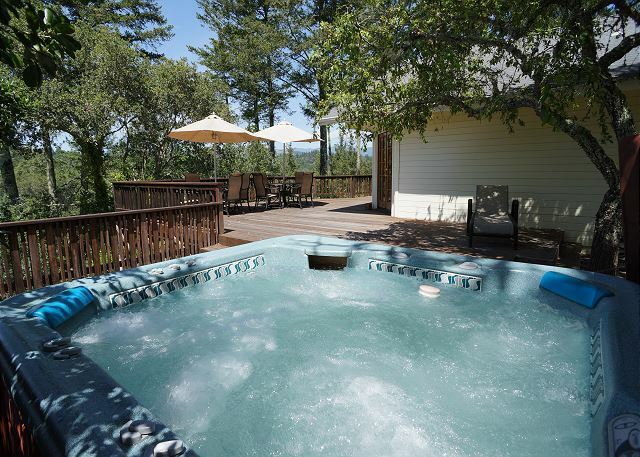 Having booked for April, it would have been nice if the pool was heated, but that was a small issue for the group as the hot tub was more than sufficient. 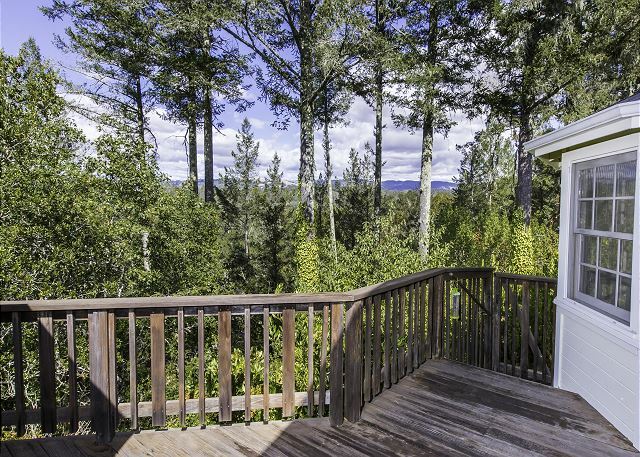 Beautiful views, lots of deck space and quiet neighborhood made this an ideal stay for our group. 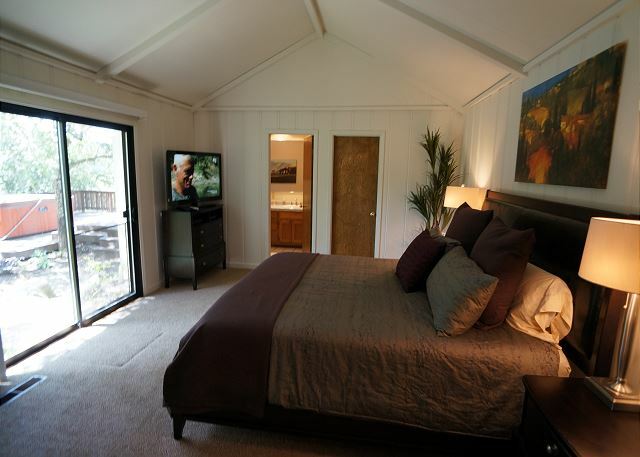 This is the home for you if you want a quiet, secluded family or friend get-away. 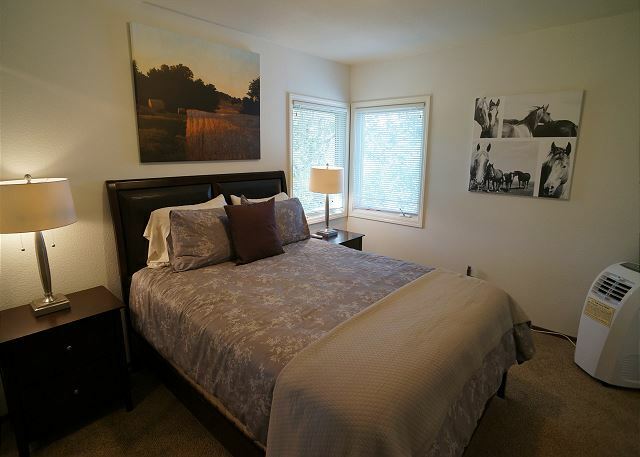 The home was clean, the bedrooms were ample and the kitchen was perfect for lots of cooking! We are looking forward to coming back in the summer when the pool is open! We used the house for our annual Thanksgiving reunion. It was perfect. The two living room areas were perfect for those who wanted to watch different programs at the same time. 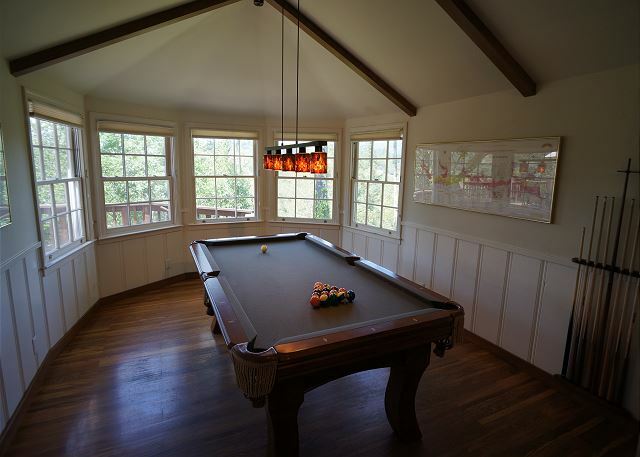 The billiard table kept the younger teens happy and there was plenty of room to set the table for 20 people. We got to cook the entire meal at the house and used the pool house for the additional cooking and cold storage place. This was my second stay at this great house and it was perfect in every way. We had six couples and a baby, and the spacious house / pool house slept all of us comfortably and with privacy. While great wine-tasting is all around, the house itself offers so many experiences...from sipping mimosas on the back deck in the morning as the sun comes up over the vineyards, to romping in the pool when it gets warm, to lunch in the bright poolhouse, to fun cooking in the spacious dinner and outdoor grill for dinner for twelve at the long dining table. We were barely motivated to leave! 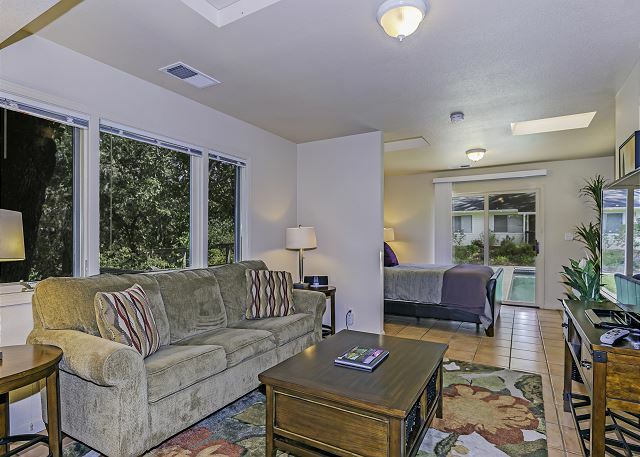 The management is responsive and flexible, and I already want to plan a return trip!! Our family of 12 had a wonderful weekend at the Chalk Hill Home. Home was very comfortable and there was more than enough room for all of us. We enjoyed hanging out at the pool for some family time. Area is very peaceful. Beautiful house with awesome pool! We stayed over 4th of July weekend with 10 adults and had an amazing time. The house was more than comfortable for that many people and had everything we needed for BBQing and other meal prep. The location can't was beautiful and can't be beat. 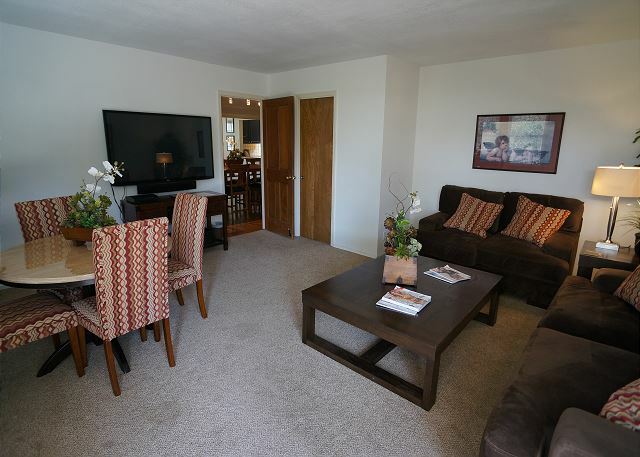 Property management was great to work with! Would stay again in a heartbeat.